We all have a story that starts out something like this, and we learn to identify with that story at the expense of knowing who we truly are, where we came from and why we are here. I was no exception. Around the age of 30 I could no longer tolerate the discomfort of being half alive. I was tired of my masks and unhealthy relationships. Living on the surface was empty and painful. My soul longed to be set free. And so the journey began. I went to half a dozen therapy sessions, read countless spiritual self-help books, quit my job, sold everything and sailed the Caribbean for 5 months.....when I returned to the states, well....there I was. In 1996 I received Reiki attunements and enrolled in Massage school. By 1999 I had a thriving private massage practice, became a Reiki Master and began teaching Reiki to others. My work evolved organically, and soon I was leading clients through emotional processing in addition to the bodywork and energy sessions. None of this was planned, it all came about by listening to my inner guidance, even when it wasn't at all practical. Still, my own emotional healing process was slow. No matter how blissed out and connected I would feel during sessions or workhops, later I would always crash back into my private hell. Then, in early 2000 I met my friend Dale. He told me about his Tantra teacher from California, Bodhi Avinasha. She is the founder of Tantrika International and creator of Ipsalu Tantra Kriya Yoga. 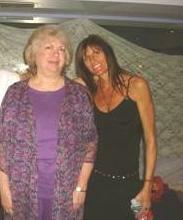 Bodhi was coming to south Florida to facilitate her Level One Cobra Breath intensive called "Learning to Live in Bliss." I was terribly uncomfortable and self-conscious through much of the program. Now my process was speeding up! So much so, that I thought I would surely explode during my second year....but with the grace of existence and support of my loving teachers, I made it through the darkness, walked the fires and came out the other side with a strong witness consciousness. The greatest shifts have happened since my Kundalini awakening which occured in 2004 during a process in the Ipsalu Level III intensive. In 2002 I enrolled in Bodhi's teacher training program and then began facilitating evening classes. I was authorized to teach Cobra Breath in 2004 as a certified teacher and mentor. I was certified to teach the Level One Intensive "Learning to Live in Bliss" in early 2007. I'm now certified to teach the all the advanced level Cobra Breath 2 - 4 workshops and I facilitate all the modules of our teacher training program. I teach these courses in several countries including USA, Canada, Croatia, Costa Rica, England, Mexico, Colombia, Germany, Sweden and France. More destinations are opening up throughout the world. It is an exciting and magical time, as more of humanity is prepared to take on this practice of self-mastery and awakening. I've created many of my own healing workshops which support one's process of clearing emotional debris and opening to the magnificent truth of their unique authentic nature. In March 2004 I traveled to the Osho Rajneesh commune in Pune, India to study and take sannyas: a promise one makes to themselves to stay on the path of enlightenment and to make meditation a part of daily life. At the ceremony I was given my sannyasin name, Antar Nayano which means "Inner Eye." I returned to India December 2009 to go deeper into my own healing process and become more clear about my teaching path. I feel intensely that my purpose as a teacher is to support others in becoming more alive, awake and to be living their truth and purpose. It is an honor to be part of this lineage. I believe in this practice and feel deep gratitude for having found this path and to be sharing it with humanity. I am truly blessed.